Below is a web album that contains a number of pictures of the property. 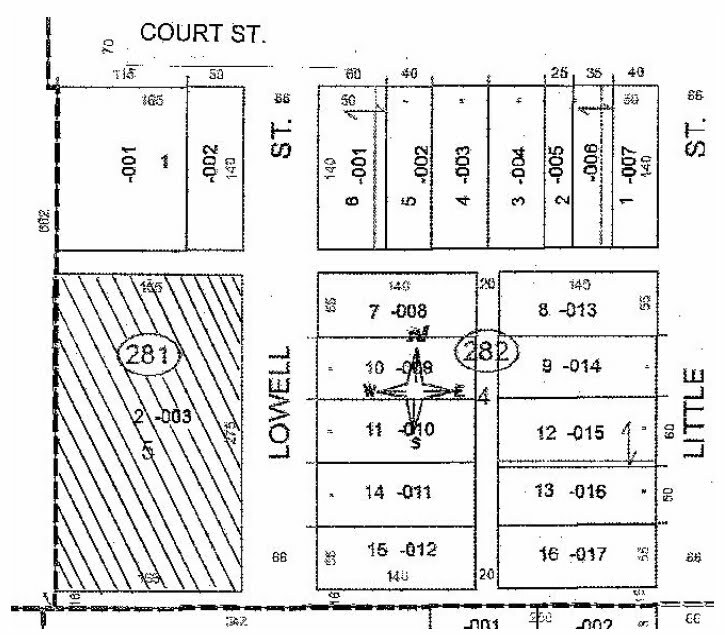 Below is a plat map image of the property. Unlike many sellers of real estate, we are willing to work with buyers to find a financing solution that is affordable and meets your needs. You can purchase this property one of two ways. The first is with a cash offer, either with cash from savings or from a bank loan. The second is to get financing from us in the form of a contract-for-deed, which is a form of seller financing that helps buyers avoid the difficult and costly process of going through a bank to obtain a mortgage loan. The minimum requirements for this type of arrangement is: 1) a 15% downpayment; 2) monthly payments of at least $250; and 3) interest of 7.0% per year on the balance of the loan. Paying more per month would reduce the length of the financing and there are no penalties for paying it down early. Once the last payment has been made, the deed will be transferred to the buyer. Below is an interactive Google map which shows the location of the Streator Lot.